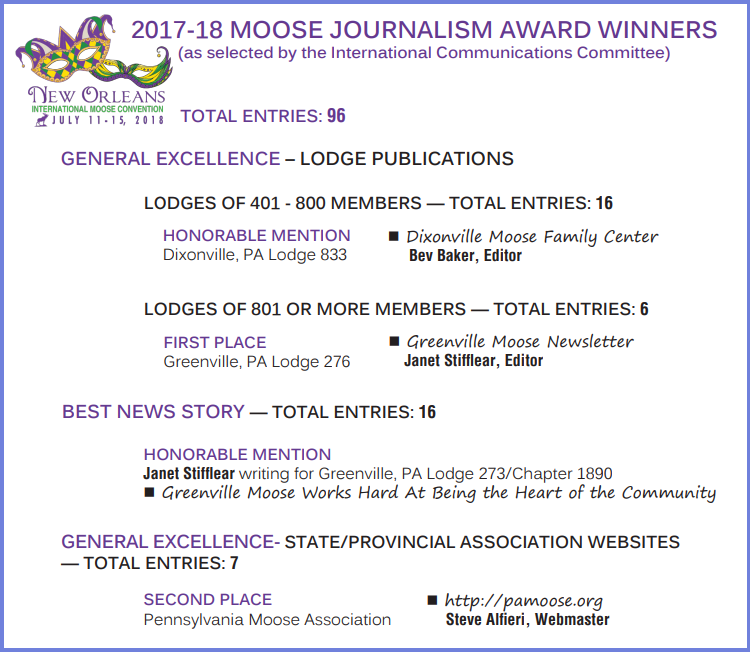 Send a copy of your newsletter to the webmaster and we'll post it here so others can see what is going on in your Lodge and Chapter. I recommend using Bullzip PDF Printer for printing your Newsletter from just about any program into PDF format which makes it smaller and easier to distribute, and also secures the document so that things can not be modified. What Does Moose International’s Department of Communications & Public Affairs Do For You?